Scott Rice Office Works (Scott Rice) is excited to announce the opening of their brand in Springfield. Color Art, based in St. Louis and Scott Rice, based in Kansas City, are Steelcase Dealerships owned by Color Art Integrated Interiors. 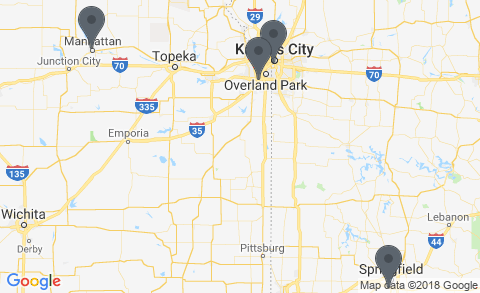 Combined, Color Art Integrated Interior territories stretch from St. Louis, Missouri to Manhattan, Kansas, with clients throughout the Midwest. Because Scott Rice is physically closer to Springfield and has more experience managing satellite offices, we have decided to shift the brand and support for our Springfield location from Color Art to Scott Rice. After evaluating the transition, we determined it would be the most effective way to serve the Springfield market. Scott Rice Office Works is comprised of a unique family of interdependent companies that combine to offer complete interior solutions. Each company is an expert in its field and each brings its own set of highly specialized skills to offer fully integrated planning, tenant finishes, technology, construction, accessories, move management, flooring and furniture.